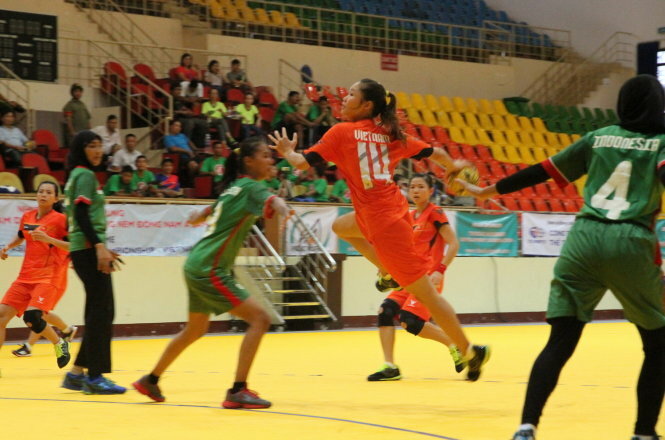 HA NOI (VNS) — Viet Nam won both the men's and women's titles at the Southeast Asian Handball Championships, which ended in HCM City on September 27. It is the first time Vietnamese teams have become the regional ‘king' and ‘queen' in the same year. It is also the first time a country has won both titles on the home turf. In the men's event, Viet Nam won all three matches in the round-robin tournament. They came from behind to beat defending champions Thailand 37-36 in the last match. Thailand, the winners of the past three years, received the silver medal. In the women's side, the hosts won three matches and drew one match. In the final game, they trounced Indonesia 69-26 to win the tournament for the fourth consecutive time.